“Suzie, what you’re doing is great. Being on a site specifically designed for inmate blogs…that is just so awesome. So when I got your email, it felt like my prayers had been answered.” -S.N. “hi Suzie thank you for hitting me up with this great opportunity. we need more women in the world like you. thank you and you are greatly appreciated.” -C.T. “Hello, First off I want to let you know this is a brilliant thing you have going on. My friend introduced me to this and at first I thought something totally different. Then I realized this is something I would love to do! Second off I can’t wait to get started! Thank you for your time.” -B.S. “Wanted to say thank you for inviting me to join your site and it couldn’t have happened at a more needed time because I have lots of issues that I need to write about.” -C.W. “Thank you, for all of your work and efforts in trying to help create a safe place and environment for individuals that are in a similar situation as I am, not just for us but for our friends and family as well. To help give us an voice, output, opinion, and for us to help invite your readers into our lives and to get a better view and understanding of what we do in here, how we live, what we go through, and build communications with what’s left that we have with our loved ones and friends. Again thank you for everything Mrs. Suzie Jennings.” -L.L. “I’m excited about this I’ve been thinking of starting a journal so this is perfect for me. Thanks again.” -M.S. “I’d like to start by saying thank you. Thank you for giving brothers such as myself a voice. It’s humbling to know that there are still people out there who care about us and the struggle we endure daily. May God continue to bless you for all you’ve done, do and continue to do.” -M.P. “Hello Mrs. Jennings. I received your email and I want to thank you for offering such a great opportunity to blog.” -F.B. “It is a pleasure to be able to be on inmate blogger. I think what you are doing for us is wonderful! I want to thank you! You are trully such a blessing! For you to take time out of your days, your weeks, your months, words just can’t explain the feelings. May GOD continue to bless you and your accomplishments! Have a nice day! GOD bless you!” -D.P. 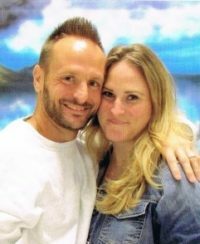 “SUZIE THANK YOU FOR INVITING ME TO INMATE BLOGGER. I APPRECIATE IT.” -L.N. “First and foremost I would like to take this time to express my appreciation to you for providing me with the oppurtunity to use your site, InmateBlogger.com, as a platform to touch the masses with my gift. I am extremely grateful for you and plan to take this serious.” -T.L. “Thank you for the opportunity to have an outlet to vent on your blog site. God bless you for all your time and effort in assisting inmates in these troubled times.” -C.P. “I really appreciate what you’re doing.” -S.C.
“Mrs. Jennings, hello, I received your jpay message and wanted to thank you for writing and allowing me the opportunity to express myself on your blog. I have very supportive family and friends so they will certainly be interested not only in the site but also in your courage to advocate this type of a forum for a class of people most of society does not want to hear from.” -M.K. “Thank you Suzie you are a true life line.” -J.R.